Despite these differences, the church has uniformly always believed that it should practice congregational worship on Sunday, titled the Lord’s Day, rather than on the seventh- day Jewish Sabbath. Even the Christian Jews who desired to continue practicing the Sabbath would still practice congregational worship on the Lord’s Day. Sunday was called the Lord’s Day because it was the day in which Jesus’s resurrection occurred. The church has also historically believed that there was an eschatological fulfillment of the Sabbath. Though Christians may have differed concerning the extent of the Sabbath in this life, they all agreed that the Sabbath, in some way, pointed to a greater rest that was found in God. The proper understanding of the Sabbath for Christians is not a trivial matter. How one understands the Sabbath will serve as a microcosm of much larger issues pertaining to the nature of the worshipping community of Christ. Though the Lord’s Day being the day of worship has been the general practice of the church since the first century, there have been numerous groups or denominations throughout history that have sought to reinstate the Jewish Sabbath as the day of worship for Christians. 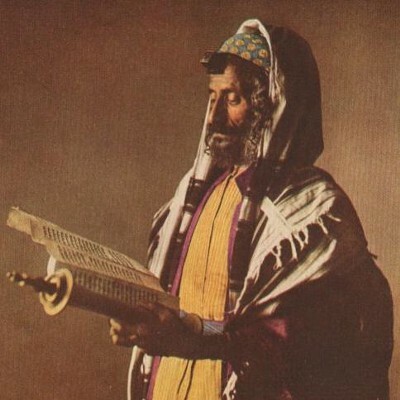 It is very difficult for Christians to come to a solid understanding of the role of the Sabbath in the Christian church without first understanding the role of the Sabbath in early Judaism. The commandment to keep the Sabbath was the fourth of the Ten Commandments (10 words) in Judaism. Drawing from Creation, the fourth commandment was instituted by God as a means for providing His people with rest.In addition to rest, the Sabbath was also established to provide the Israelites with a day that could be devoted to worship. God was teaching his people to be dependent on Him as He commanded every man, woman, child, and beast to rest on the Sabbath. This idea of dependency did not begin with the giving of the Ten Commandments but was also demonstrated in Exodus 16:21-23. In Exodus 16:21-26, Moses tells the reader that God provided Manna for the people 6 days a week, with twice as much on the 6th day. However, on the 7th day, God did not provide them with any food. This practice was meant to train the Jews in their dependence and faith in the Lord. The uniqueness of the Sabbath is important to understand as one transitions between considering the role of the Sabbath in Jewish practice to the role of the Sabbath in historical Christianity. The apostles and even Christ himself considered the Sabbath an institution that pointed to something greater. Jesus states in Matthew 11:28, “Come to me, all who labor and are heavy laden, and I will give you rest. Take my yoke upon you, and learn from me, for I am gentle and lowly in heart, and you will find rest for your souls. For my yoke is easy, and my burden is light.” Any Jew who heard these words from Jesus would have immediately equated rest from work with the Sabbath. However, In Jesus’s words, we find him asserting that he is the full rest and not the Jewish Sabbath. The Apostle Paul also makes this clear in Colossians 2:16-17, “Therefore let no one pass judgment on you in questions of food and drink, or with regard to a festival or a new moon or a Sabbath. These are a shadow of the things to come, but the substance belongs to Christ.” The Apostle Paul encourages believers not to get preoccupied with festivals or Sabbath days. He acknowledges that Christ ordained these days, but the intent was never for them to be permanent. They were shadows of a greater reality, specifically Jesus Himself. This is the truth that Paul is laboring to present throughout the entire letter. If a banner could be placed over the doorpost of the Colossian church, Paul would like it to say, “Christ is better”. As this text is considered in light of this, it is clear that Paul is trying to drive home the same reality that the writer of Hebrews is. Throughout the wanderings of Israel, the Promised Land was anticipated to be the place of rest awaiting them, a land free of slave labor and filled with “milk and honey” (Exodus 3:8). It was in this land that Israel was going to receive rest from their labors. It was also in this land that God would grant them a grace called the Sabbath day. There were other religions that practiced Sabbath days but “no precedent in the Ancient Near East exists for a seven-day cycle with the seventh day consistently set aside as a holy day.” Since the fall, God cursed work and labor to make it more strenuous. Due to this reality, labor was difficult and hard in the Ancient Near-East. However, God desired for the Israelites to stand out and so he not only led them into a land of rest, but he gave them a day of rest every week as well. Hebrews 3:7-11 refers back “to the classic failure of Israel at Kadesh Barnea which led to their 40-year wondering in the wilderness.” The first generation of Israelites did not enter the rest in the Promise Land of Cannon or the Eschatological rest of the new heavens and the new earth. Hebrews 3:12-4:7, carries the argument that if these current Jewish Christians return back to Judaism, like the Israelites of old, they should not expect to enter the rest of God. Their wandering, however, will not be like the wandering of the ancient Israelites in the physical desert. The wandering of these Jews would be an eternal wandering in a much worse desert. A desert that is heated by God’s wrath, a desert called hell. The author appeals to the logic of Psalm 95 as he considers the eschatological significance of the rest of God. He considers the fact that David speaks of a current and future rest in Psalm 95:7 when he says “today”. The author’s logic is that David would not have said today if he was referring to the rest Joshua was bringing the people into in the land of Canaan. David obviously had another kind of rest in mind. The greatest evidence of this is that God is still saving sinners, he is still extending his grace to all those who repent. Therefore, since God is still offering his rest, and Israel already occupied the Land of Canaan, another rest must be in mind here. It is this “other” rest that the author of Hebrew will seek to explain. Ultimately, it is a rest that has eschatological fulfillment. For if Joshua had given them rest, God would not have spoken of another day later on. So then, there remains a Sabbath rest for the people of God, for whoever has entered God’s rest has also rested from his works as God did from his. Let us therefore strive to enter that rest, so that no one may fall by the same sort of disobedience. For the word of God is living and active, sharper than any two- edged sword, piercing to the division of soul and of spirit, of joints and of marrow, and discerning the thoughts and intentions of the heart. And no creature is hidden from his sight, but all are naked and exposed to the eyes of him to whom we must give account. Verse 10 is a critical verse, “for whoever has entered God’s rest has also rested from his works as God did from his.” The author of Hebrews explains the nature of fulfillment concerning the rest of God in the Old Testament. 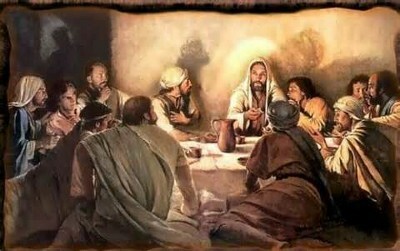 As the people of God rested from their works on the seventh day, those in Christ rest from their works, which were done to try and please the Lord. Again, the word used in Genesis 2 for rest is more closely defined as ceased than literal rest. God did not rest after creation, he simply stopped creating. What this text is teaching is that the same way that God ceased from working and continued his rest in Trinitarian peace, Christians enter this state in part now and fully in the eschaton. This reality is expounded on more fully in Jesus’ High Priestly prayer found in John 17. The meaning of this text must carry eschatology fulfillment because Jesus tells us that there will be great suffering for Christians on this side of eternity (Matthew 10:34). There is also much work to be done for the Christian pertaining to the Great Commission (Matthew 28:16-20). Jesus has also said that full rest comes in future glory (Revelation 21:4, Revelation 22:1-5). Revelation 21:1-4 speaks about a coming day where the chaotic cosmos will finally experience peace or shalom. The idea of peace reigning rather than chaos can be found in the conclusion of the first verse where Paul writes, “and the sea was no more.” In the early churches’ mind, there would have been a clear understanding that the sea symbolized danger and chaos. In revelation 20:14, hell is referred to as a lake of fire. Earlier in Revelation 20 the beast and the false prophet are thrown into a lake of fire, as well. Daniel 7:3 refers to a beast coming from the sea and even the Gospels reference how dangerous the sea could be in the midst of a storm. All of these realities lead to the idea that the absence of the sea here would bring the ideas of peace into the mind of the early readers. The text goes on to inform that the new Jerusalem would come down from the heavens in preparation for the great wedding day between Christ and his church. The most critical part of this passage that deals with the Sabbath is found in verse 3 and 4. God is going to once again dwell with people and in so doing, redeemed humanity will enter into the rest of God fully. The rest and peace that this passage is illustrating is a rest beyond anything Christians can experience prior to the eschaton. Revelation 21:4 tells us that this state of rest and peace will be such a state that there will be no crying, pain, death, nor mourning of any kind. 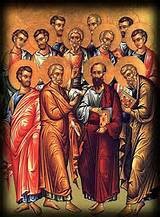 The Apostolic fathers clearly believed that this eschatological rest was the fulfillment of the Sabbath command. They believed that the Jewish Sabbath was tied to the seventh day rest of God in Creation. However, they also believed that the seventh day rest of the Lord pointed to something greater than the Sabbath rest of Israel. The first chapter of Genesis explains that creation was made in six days. On the first day, Yahweh spoke and said, “Let there be light” and there was light. Over the course of the next several days, God created the material world. God’s creation was complete on the sixth day as he created humanity. Mankind was made in the likeness of God with the intention of them operating as vice-regents of the Lord God. The first chapter of Genesis explains the creative work of God in bringing forth the material universe. The first and most critical text in understanding the Sabbath is Genesis 2:1-3. From the first to the sixth day of creation, Scripture concludes the day by saying, “…and there was evening and there was morning.” In Genesis 2:1-3, as God enters His rest, there is no mention of the conclusion of the day. In the Jewish mind, evening and morning symbolized the beginning and completion of a day. This is omitted in Genesis 2 because the rest that God entered was not a temporal rest limited by a single day. Rather, God entered a perpetual state of rest. God re-entered the rest that He had experienced before beginning any act of work/creation. Once God’s work was done, all things were set according to his providence. With his creation complete, God rested from his active labors of creating. This rest of God was not something intending to simply point to the later Sabbath day command though the Sabbath would operate as a symbol. The rest of God in Genesis 2:1-3 was an eschatological type whose anti-type is Christ whose rest is inaugurated at conversion and complete in glorification. The blessing of the seventh day and the sanctifying of it was never intended to be interpreted as a “setting apart for a Sabbath day”. The blessing and consecration of the seventh day rest of God was always meant to be interpreted in light of the reality that the seventh day marked the first day that God ceased from active work in creating and returned to trinitarian rest in the midst of the created order. Prior to creation, the godhead communed in perfect unity and rest alone. After God spoke all things into creation, the rest and communing of God was now shared with the creaturely. The seventh day was truly a holy and blessed day because it pointed to a new order of things. The Creator had now created and extended his peace beyond Himself. Ignatius and many other church fathers believed that the Sabbath was a temporal institution that pointed beyond itself to this. For that which the name indicates, that the Christian man, through the knowledge and the teaching of Christ, is distinguished for temperance and righteousness, for patience in life and manly virtue, and for a profession of piety toward the one and only God over all—all that was zealously practiced by them not less than by us. They did not care about circumcision of the body, neither do we. They did not care about observing Sabbaths, nor do we. They did not avoid certain kinds of food, neither did they regard the other distinctions which Moses first delivered to their posterity to be observed as symbols; nor do Christians of the present day do such things. But they also clearly knew the very Christ of God; for it has already been shown that he appeared unto Abraham, that he imparted revelations to Isaac, that he talked with Jacob, that he held converse with Moses and with the prophets that came after. The Jews kept holy the Sabbath in memory of the first creation; but Christ at His coming brought about a new creation. For by the first creation an earthly man was created, and by the second a heavenly man was formed: “For in Christ Jesus neither circumcision is worth any thing, nor uncircumcision, but a new creature” [Gal 6:15]. This new creation is through grace, which came by the Resurrection: “That as Christ is risen from the dead by the glory of the Father, so we also may walk in newness of life. For if we have been planted together in the likeness of His death, so shall we also be in the likeness of His resurrection” [Rm 6:4-5]. And thus, because the Resurrection took place on Sunday, we celebrate that day, even as the Jews observed the Sabbath on account of the first creation. 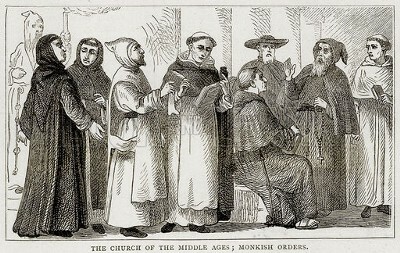 Thomas Aquinas believed that the Sabbath carried elements of both the ceremonial and the moral law. The Sabbath was ceremonial in that it was instituted as a reminder of God’s rest on the seventh day after creating the earth. He argued that Sunday was the new Sabbath as it commemorated the new creation. Secondly, Aquinas believed that the Sabbath is a moral law since it was placed within the Decalogue. Therefore, according to Aquinas, the Sabbath remains but is transferred to the Lord’s Day and is therefore obligatory. The Lord ordained a certain day on which his people might, under the tutelage of the law, practice constant meditation upon spiritual rest. And he assigned the seventh day, either because he foresaw that it would be sufficient; or that, by providing a model in his own example, he might better arouse the people; or at least point out to them that the Sabbath had no other purpose than to render them conformable to their Creator’s example. Which interpretation we accept makes little difference, provided we retain the mystery that is principally set forth: that of perpetual repose from our labors. However, the ancients did not substitute the Lord’s Day for the Sabbath without careful discrimination. The purpose and fulfillment of that true rest, represented by the ancient Sabbath, lies in the Lord’s resurrection. Hence, by the very dat that bought the shadows to an end, Christians are warned not to cling to the shadow rite. Nor do I cling to the number “seven” so as to bind the church in subjection to it…We are to meditate throughout life upon an everlasting Sabbath rest from all our works, that the Lord may work in us without shadows. Which day of the seven hath God appointed to be the weekly Sabbath? In the next post we will look at the most popular views of the Sabbath that are practiced currently. We will look at the Lord’s Day Sabbath (Sunday Sabbatarian) position, The 7th Day Adventist position, and the Sabbath as Eschatalogical fulfillment position. In the third and final post I will interact with the views. I hope to show the various weaknesses and strengths of each view and finally conclude with which view I believe is most faithful to Scripture. D A. Carson, ed., From Sabbath to Lord’s Day: A Biblical, Historical, and Theological Investigation (Eugene, OR: Wipf and Stock Publishers, 1999), 255. Charles P. Arand, Perspectives On the Sabbath: 4 Views (Nashville, Tenn.: B & H Academic, 2011), 3. Paul R. House, Old Testament Theology (Downers Grove, Ill.: InterVarsity Press, ©1998), 113. Paul R. House, Old Testament Theology (Downers Grove, Ill.: InterVarsity Press, ©1998), 116. Nahum M. Sarna, Exodus =: [shemot], The Jps Torah Commentary (Philadelphia: Jewish Publication Society, 1991), np. John H. Walton and general editor, Zondervan Illustrated Bible Backgrounds Commentary (Grand Rapids, Mich.: Zondervan, 2009), 23. Hodges, Z. C. (1985). Hebrews. In J. F. Walvoord & R. B. Zuck (Eds. ), The Bible Knowledge Commentary: An Exposition of the Scriptures (J. F. Walvoord & R. B. Zuck, Ed.) (Heb 3:7–11). Wheaton, IL: Victor Books. F.F. Bruce, The Epistle to the Hebrews, rev. ed. (Grand Rapids, Mich.: Wm. B. Eerdmans Publishing Company, 1997), 109. James M. Hamilton and Jr, Revelation: the Spirit Speaks to the Churches (Wheaton, Ill.: Crossway, 2012), 383. Alexander Roberts, James Donaldson, and A Cleveland Coxe, eds., Ante-Nicene Fathers: The Writings of the Fathers Down to A.d. 325, vol. 1, The Apostolic Fathers, Justin Martyr, Irenaeus (Peabody, MA: Hendrickson Publishers, 1994), 186. 11 John Walton, Genesis: from Biblical Text… to Contemporary Life (Grand Rapids, Mich: Zondervan, 2001), 147. Alexander Roberts, James Donaldson, and A Cleveland Coxe, eds., Ante-Nicene Fathers: The Writings of the Fathers Down to A.d. 325, vol. 1, The Apostolic Fathers, Justin Martyr, Irenaeus (Peabody, MA: Hendrickson Publishers, 1994), 62-63. Joseph Lumpkin, The Didache: the Teaching of the Twelve Apostles: a Different Faith — a Different Salvation (Blountsville, AL: Fifth Estate, Incorporated, 2012), 95. Alexander Roberts et al., eds., Nicene and Post-Nicene Fathers: Second Series (The Early Church Fathers, Second Series, So14), vol. 1, Eusebius: Church History, Life of Constantine the Great, and Oration in Praise of Constantine (Grand Rapids, MI: Hendrickson Pub, 1996), 87. D A. Carson, ed., From Sabbath to Lord’s Day: A Biblical, Historical, and Theological Investigation (Eugene, OR: Wipf and Stock Publishers, 1999), 304-305. Thomas Aquinas, The Explanation of The Ten Commandments, trans. Joseph B. Collins, (New York, 1939) Article 5. D A. Carson, ed., From Sabbath to Lord’s Day: A Biblical, Historical, and Theological Investigation (Eugene, OR: Wipf and Stock Publishers, 1999), 306. Jean Calvin, Calvin Institutes of the Christian Religion, ed. John Mcneill, trans. Ford Lewis Battles, vol. 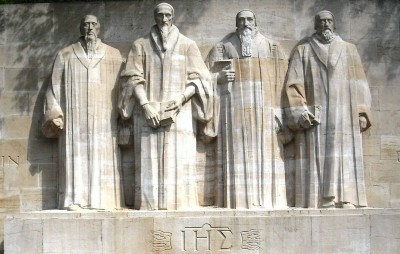 1, Calvin: Institutes of the Christian Religion (Louisville, KY: Westminster John Knox Press, [2001? ]), 397. Richard B. Gaffin, Calvin and the Sabbath (Fearn, Ross-shire: Mentor, 1998), 142. Westminster Divines, The Westminster Shorter Catechism (2010), Question 59.